Nexdim met up with Cameroon’s multi talented actor, script writer, film maker, writer at the African Bulletin http://www.mediablackberry.com/index.php?oid=12577 Kang Quintus Nang online and decided to do nothing other than using that wisely so our Nexdimers could be entertained with an exclusive one on one interview session to help discover our Kamer born stars anytime, anywhere. It is worthy of notice that Kang Quintus just grabbed a nomination in the Cameroon Entertainment Award for best actor in a leading role in the movie ‘Strength of Cha Cha’. Nexdim: In some few words how would you describe yourself? Quin: Well before that I must say you guys at Nexdim are doing a very great job. Back to myself now am a film maker, I produce and direct movies and act too most of the time. I studied in the University of Buea then I did an M.A programme in Development Policy – CERIS Brussels, an MBA in the University of Antwerp and presently am studying a PhD programme. Nexdim: From which part of Cameroon do you hail? Quin: I hail from the North West region precisely from Wum. Nexdim: When and how did u start your career as a filmmaker? Quin: I got involved in film making back in 2008 when I was contacted by a very good friend Enah Johnscott (now director of Triangle of Tears), who was shooting his then movie. I did script analysis for him and gradually I developed the passion to contribute in a way towards the advancement of the Cameroon movie industry. Nexdim: Tell about your stay back then in Cameroon. Quin: I got my Advanced level certificate from GHS Wum and that same year got admitted into the University of Buea, I graduated from the University of Buea with a B.Sc Accounting in 2009 and upon graduation i got admitted to study a Masters in Development policy at CERIS Brussels, then I left Cameroon. Nexdim: Some of your works please. Quin: In 2008 I served as the script writer of ‘The Mad Crown‘ produced and directed by Enah Johnscott and in 2010 I assisted in the production of ‘Shades’ with Titus Banyuh. 2011 I was the lead role actor and producer of ‘The Strength of Cha Cha’, directed by Enow Florence and released that same year. 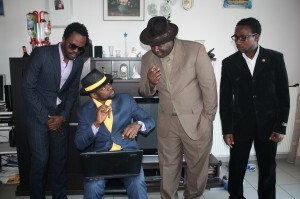 As I left Cameroon, I have been the Director and Executive Producer of ‘Critical Point’ shot with locations in Belgium and Holland and due to be premiered in Belgium, Germany, Holland, Cameroon, the UK and the USA,will be released in April 2012 and it features Samy Diko and Ghanaian actor Samuel Ruffy Quansah. 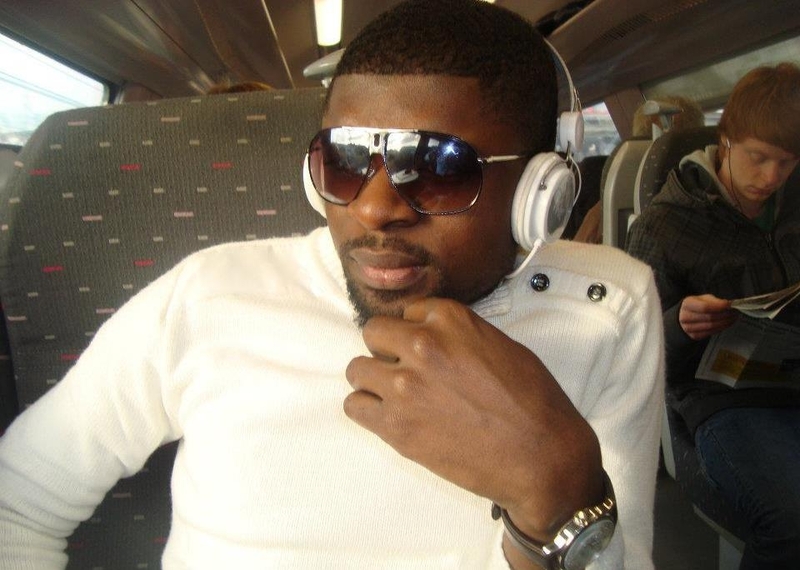 I also lead roled in the movie “Confused Bachelors”, it is produced and directed by Simon Timah, shot with locations in Holland and Belgium and its dued to be released in June 2012. Nexdim: What can you say about movie making in Cameroon? Quin:I think film makers in Cameroon are beginning to make huge and explosive blockbusters. The quality of our movies are fast closing up with the Ghanians/Nigerians and handful of our movie makers are now gaining recognition in the international scene. With this, I would say, our movie industry is waxing strong. However, I think we are still short of big producers who can put in millions and shoot award winning movies.Nexdim: If you’re to tell the world who inspires you the most as far as film making is concerned, who will that be and why?Quin: Denzel Washington is my greatest source of inspiration. In Africa, Ghanaian actor John Dumelo is the man!….. Their acting is instinctive and I love the way they get into their characters. Nexdim: Your best movie ever watched so far. Nexdim: What about this movie that makes it your best?Quin: It is a movie that keeps you stock on your seat…. when you start watching it, time flies without you noticing…..The end of an episode keeps your wanting for the next…. i love it! Nexdim: What do you like eating most? Nexdim: That would be all thanks for your time. Quin: You welcome, thanks for the interview and I must say you guys are doing a very wonderful job keep it up. What a talent!! I think God has his eye placed on this generation of ours. Awesome interview.